Flag brackets There are 9 products. 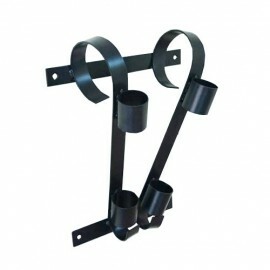 Easy to mount and use flag brackets (flag holders) are ideal for the flags with the wooden poles. 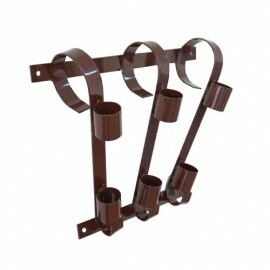 Three different colours (black, brown and grey) with three different sizes (one, two or three brackets). Made of strong metal, are powder coated and non-corrosive. 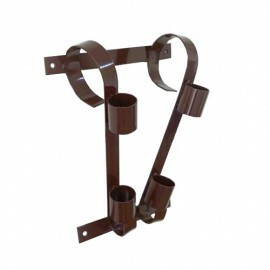 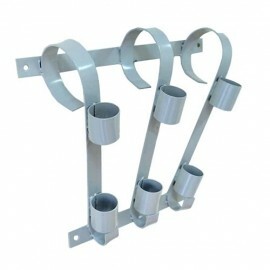 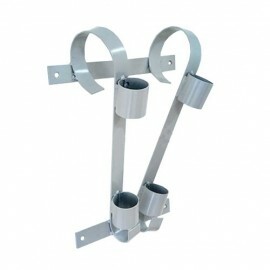 All our metal brackets are used with the flag poles which has a diameter of 34 mm. 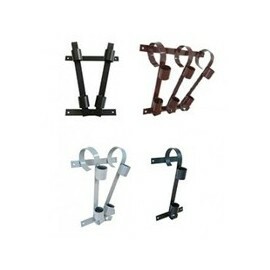 Brackets can be selected with three different colours (black, brown or grey). Whole bracket is made of strong metal which is powder coated and non-corrosive. 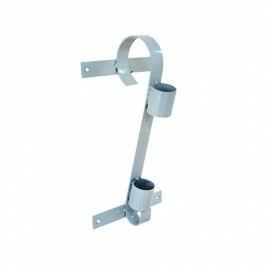 It is very easy to use it.